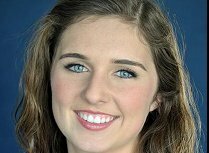 While maintaining a 4.0 GPA and being an active member of the National Honor Society, Kristen has been in every main stage musical or drama productions available to her. From her participation sophomore year as a chorus singer and dancer, Kristen has gone on to have leading roles both this year and last year. She has faced whatever fears she’s had and blossomed into a superlative young actress, leading the cast by her example of determination and commitment for excellence. Kristen was named soccer Captain as well as Captain of the Basketball team. It is no accident that she was chosen to be Captain, being that she has a natural ability to lead. She recognizes the importance of teamwork and encourages and motivates all to rise to their greatest level of achievement. Even with Phoenix Country Day having one of the most demanding high school curriculums, Nic managed to maintain his 3.74 GPA. Nic goes above and beyond in every class. His outstanding grades at a highly academic school reflect his amazing abilities. 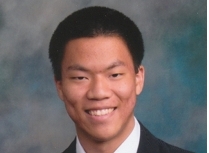 Because of his knowledge, his efforts, his engagement in classes and athletics, he received early admission to Amherst College, one of the top liberal colleges in the nation. 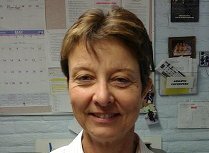 On the athletic court and fields, Nic is a standout team member. He played in three sports in all four years of high school, and played them well. In basketball he was voted “Most Valuable”, in soccer he was third on the team in goals, and in baseball he was rookie of the year and led the team in runs, stolen bases, batting average and pitching strikeouts. 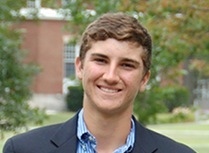 Nic distinguishes himself as a student, player, and friend through the combination of qualities he brings to each new experience, and personifies the excellence that Phoenix Country Day School strives for. 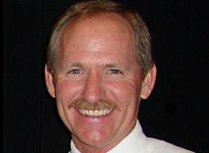 Since 1995 when Desert Mountain High School opened, Steve has been the Athletic Director, and as of this year has also become the Assistant Principal. Steve is responsible for 11th grade attendance, discipline, parking, Pom & Cheer, Health Services, SPI, and student teacher placement. 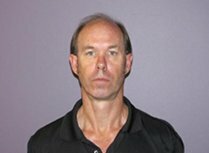 As the DMHS Badminton Coach, Steve oversaw and facilitated the “Operation Smile Fund Raiser” conducted over two days, for four consecutive years, which brought in over $5000. Steve is an integral part of the DMHS Administrative Team. He is a man of integrity, and is trustworthy in his work throughout the DMHS athletic program. Scot Bemis first entered the Notre Dame community in May of 2002. At that time Notre Dame Preparatory in Scottsdale, Arizona existed in name only and was set to open its doors to its first class of students in August of 2002. Scot was brought in to teach science and pilot the Saints’ football program. When he arrived on campus to assess his facilities, he found no fields to practice on, no weight room to prepare his kids in and no athletes to fill out the new pads and helmets that had been ordered. Most men would immediately regret their decision to take on the task of not playing Varsity football for two years and having no facilities to grow columns their team, but Scot is not your ordinary foot ball coach. When the dust from that first season of football had settled, Scot had led his team to a 2-6 record. His last five teams have won two State Championships, reached the semi-finals, quarter finals and made two first round playoff appearances. To Scots players he is much more than just a coach. He is a role-model and a father figure just as much as he is a football coach. 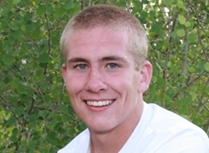 Tyler leads his classmates in academic achievement, maintaining a 4.0 GPA for four years. He is an avid discussion leader in Senior Honors English, and this year he has carried that leadership to the entire student body as the Vice President of Student Council. 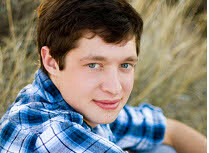 He is actively involved in the National Honor Society and an office for our International Thespian Society. Tyler has been in every musical available to him since sophomore year, first as a chorus/dancer and then his Junior and senior year as a lead. He is one of the best tennis players, and a gifted gymnast who doesn’t mind taking the time to teach gymnastics at a local facility. Tyler is a young man of integrity; what he says he will do, and he does so with enthusiasm. Tyler is a great example of the Student-Activity Scholar. Mary is an outstanding scholar and person. She participates in chess, track and manages the soccer team, while maintaining her 3.97 GPA. She is on student council, holds offices in the honor societies which she belongs, and participates fully in the school sponsored events. Mary is a leader in and out of the classroom. She has an immense desire to learn and share. She is a peer tutor at Bourgade Catholic; she tutors at Granada East Middle School, and builds houses in Mexico and on the San Carlos Indian reservation. Mary has a unique blend of leadership, scholastic ability and compassion. She gives 100% to each activity and does so with a positive attitude and genuine appreciation for all she has in life. Kolton came into his freshman year knowing very little about chess. From the very beginning he threw himself into it and soon became the team leader. He has served as team captain the past two seasons. Now at the end of his high school career, Kolton can say that he is one of the top competitive chess players in the Valley of the Sun. Kolton is an outstanding young man. He has tremendous leadership qualities that help strengthen and sustain the community. Kolton is Bourgade’s most stellar student in recent school history. He consistently sets the academic stand for his classmates excelling in all of his course work, and maintaining a 4.0 GPA. 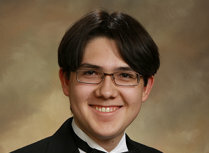 He is a National Merit Scholar finalist and has been named a National Hispanic Merit Scholar. 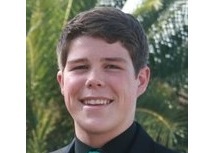 Kolton’s love of science and mathematics has led him to pursue his collegiate studies in the area of physics. He loves the challenge of mathematics classes and understands the subject extremely well. 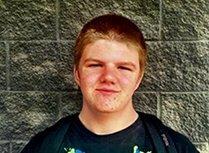 Kolton is inquisitive, academically gifted and is the type of student who will always seek new information and intellectual challenges. Alaina is mild mannered, polite, responsible, and kind to her peers. Her contribution to the Rincon/University drama program cannot be understated. Alaina’s dedication and sacrifice to the drama program productions serves to raise the level of performance of every individual involved. As a student Alaina’s 3.93 GPA speaks for its self. She is an AP Scholar with Honor, and was selected to serve as a Student Instructor in a junior AP US History class as well as an AP English Language class. Alaina is a devoted volunteer who puts a great deal of thought and effort into her community service work. She has been a Sunday school leader with the same group of preschool students for two years. She has participated in scores of volunteer projects with Student Council, Spanish Club, Key Club and for the second year is serving as a mentor to freshmen in the Rincon/University mentoring program. Alaina started a program called ‘Save Our Soles’ which was inspired from a trip she and her family took to Puerto Penasco, Mexico where she realized that the locals needed clothing and basic needs for survival. After getting permission from Rincon/University she placed donation boxes in every classroom and would collect the items every couple of days. The turnout was so good that it took multiple trips to deliver all of the items. The program has continued this school year and is now called “Save our Smiles” with a focus on the collection and distribution of hygiene products. 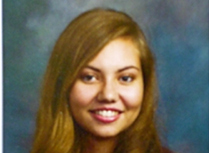 Alaina is a charismatic, enthusiastic young woman with high ideals, and great leadership skills. Conrad has been a leader on the Rincon/University chess team for the past four years. He has served as secretary, treasurer, and has been president the last two years. Conrad is the first to practice and the last to leave, and during this time he woks diligently for the betterment of his teammates. He helps organize fund raisers and eagerly approaches incoming freshmen about the importance of getting an education and encourages them to experience the proven positive influence that chess has on classroom work and various college assessments. After school, Conrad tutors students in AP Calculus AB, AP Calculus BC and AP Chemistry As a student Conrad’s 4.0 GPA speak for its self. The same qualities that have allowed Conrad to achieve success in chess have carried over into the classroom. The summer following Conrad’s sophomore year in high school, he took Calculus with Analytic Geometry I at Arizona State University where he is maintained an A+ grade average. This accomplishment required a great deal of dedication. Conrad leads by example. He supports the school teams such as Science Olympiad and Envirothon by providing his teammates with moral support , planning out logistics for success and communicating clearly to all stakeholders. Elizabeth has proven to be one of the most dedicated theatre students. She has been a tremendous addition to the Centennial High School theatre classes. Elizabeth has been a drama club officer, and has performed in a number of plays and musicals at Centennial. Elizabeth has been active in Student Council for three years, Drama/Performing Art for four years and student worker for the Athletic Department for two years. She has contributed to Centennial through significant involvement in National Honor Society, Student Body, and the Christian Club on Campus. In addition, she has been a very active member of Centennials NHS. Elizabeth has volunteered countless hours doing community service activities like volunteering at Peoria Wyldlife, and Senior Care Centers. 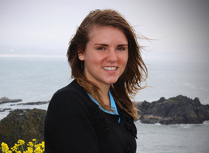 In the classroom, Elizabeth holds an impressive 3.929 grade point average. Elizabeth has always strived to do her best in every task she is given. Madison’s academic career has been stellar, as evidence from her #1 ranking, her 4.09 GPA and exceeding in all three levels of the AIMS exam. Madison has distinguished herself academically and is one of the most well liked and respected students on campus. 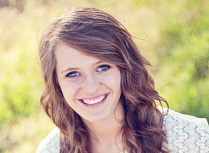 Madison has participated in cross country and track at Santa Rita High School for her entire high school career. Currently she is the only senior who has been in cross country for all four years. 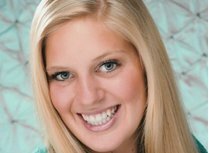 Madison has always demonstrated the traits you would want in a student and an athlete. In addition to her maintaining varsity status on various teams she is also the valedictorian at Santa Rita. Ashley has been on the high honor roll each semester, with a 4.0 GPA, and is on track to graduate as class Valedictorian. Ashlynn has many interests beyond class. She is active in several clubs, including Student Council, National Honor Society, Future Business Leader of America, Sultan Voice Newsletter, and Yearbook. 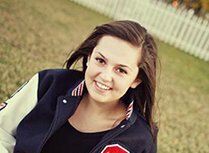 She has been a member of the volleyball team for three years and a member of her softball team for four years. She is not involved in name only: Ashlynn is truly committed to each of these extracurricular activities. She excels in multiple realms around campus and town. 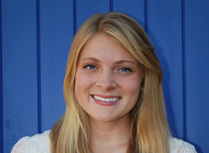 Ashlynn volunteers her time and takes on leadership roles in many areas on and off campus. She has extreme character and is a phenomenal example for her peers. This year Zane was one of Blue Ridge’s most respected team leaders. He was one of the best players on defense and was the offensive line leader playing at offensive guard. During the third game of the year Zane got caught up in a pile and broke his leg. That would have ended most players’ season but no t Zane. He continued to be a great example to his teammates even while injured. Zane came back and played the last five games and was voted the ‘Most Inspirational Player’ by his teammates. This award is the top award given in the program. Zane’s athleticism and leadership is one of the main reasons the team went undefeated with a 14-0 record. Zane has been a 3 sport athlete throughout high school, is ranked number one in his class, and has a GPA of 4.00. He has been captain and president of every sport he participates in and holds office in several other extra-curricular clubs and activities including being President of the National Honor Society. Zane seems to excel in everything he does, and has been one of those rare individuals with the courage to work as hard as possible to see where that talent leads. While maintaining her 4.0 GPA, Carly has been a great leader in the classroom as well as in sports. In a senior class that is loaded with female athletes (the volleyball team was runner up in a tough division and went undefeated against a schedule that had much bigger schools). She is the most athletic female at Heber-Overgaard, was the key defensive player in volleyball and is a softball player that can start at shortstop for any school in Arizona. Carly brings the same focus and attitude to the classroom. She does impeccable work in calculus and refuses not to understand concepts. 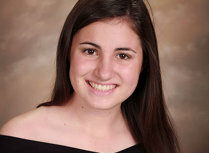 Carly has been talking about attending Pepperdine all year and worked hard on her ACT test and her application. She just got word that she was accepted. When Carly focuses on something, she knows how to go get it and attain her goal. The students and staff at MHS are so very proud of Carly. Caitlin does not only demonstrate all the qualities of an athlete of high integrity, she is a “renaissance” student: who carries that integrity to all aspects of her life. Catilin’s many accomplishments speak to this. Catlin has participated in soccer, track and field, and holds the school record in the 800 meters, while maintaining a 4.14 grade point average with highly competitive class load which includes Advanced Placement of choir, National Honor Society, math club, and the Academic Decathlon team. Caitlin not only exemplifies academic excellence, but is a well rounded individual. Brennan is an amazing young man and an outstanding student-athlete. He has an incredible work ethic, is a phenomenal leader, and talent competitor. He also exhibits strong moral values on a daily basis. Brennan routinely demonstrates responsible behaviors by keeping up on his grades. Brennan is a National Merit finalist volunteering and working for his success as a wrestler. 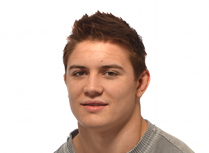 He was the 2012 State Champion Wrestler in the 160 lb. weight class. Brennan’s dedication and work ethic is second to none. Through his work experience with the North Valley Misfits as well as his leadership opportunities in National Honor Society, DECA, and our Wrestling program, Brennan has demonstrated uncompromising integrity, loyalty and commitment. In addition, his volunteer experience with the Phoenix Paintathon and Senior Citizen prom as well as participation in our peer tutoring program n campus provided Brennan with the opportunity to truly standout from the other students. His academic record stands for itself, a 4.0 GPA while carrying every AP and Honors course that Sunrise offers, not to mention his number one rank in the Class of 2012. Meredith is a dedicated student-athlete who leads others by setting a strong example with her effort and intensity both in the classroom and on the playing field. Meredith’s drive is very evident in home life and extra-curricular activities. She is dedicated to her school, church and community. Meredith’s commitment to any activity she involves herself in is without a doubt, her best of many fine qualities. Meredith’s work ethic also transfers to the classroom and the athletic field. In the classroom her academic effort has been recognized in several ways. She has earned the academic Excellence Award, been named to the PVUSD Superintendent’s Honor Roll, and Arizona Interscholastic Association Scholar-Athlete/Activity Award. On the soccer field she has been honored as the Black Canyon Region’s Defensive Player of the Year in 2011 and the AIA Division II Player of the Year in 2012. While soccer is where Meredith excels, she was also a two-year captain of the golf team and also lettered on the softball team and tennis team. Meredith is a young lady of high moral character and wills surely be an asset to any school, organization, or team that she is a part of. Addison is a highly intelligent, perceptive young lady. She goes to school each day with a great attitude that other students look u to and can’t help but be influenced by. She has taken rigorous AP classes, been a member of the National Honors Society, participated in varsity swimming, soccer, track, and served on Student Council. 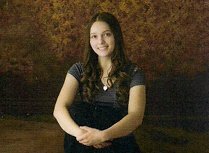 While being extremely involved in school, Addison is also involved in her community. She devotes time to the homeless, obtains Christmas gifts for Adopt-A-Family, serves as a volunteer swim coach, works at the local library and has helped with Ben’s Bells. Independent, determined and trustworthy, Addison has the personal and academic strengths to be successful in her future endeavors. Reed Patterson has been an exceptional athlete and student at University High School for his entire four years. Reed participated with his club team and the high school while maintaining excellence in the classroom. His accomplishments in the classroom are exemplified not only by his 3.60 GPA, but his results on the Advanced Placement and the ACT. He received credit for two AP classes his sophomore year with scores of 5’s on each and 4 courses his junior year with three 5’s and one 4. The ACT composite was a 35. These scores reflect a very high degree of excellence, and I know that excellence will carry over to his college career at Amherst where he’s recently made the commitment to attend. In the pool Reed is an example to his team mates. He arrived at practice ready to work, often helped his team mates with strokes and starts and was an inspiration during work outs. In competition he was always willing to swim relays for the benefit of the team and showed exemplary sportsmanship. Reed earned four varsity letters in swimming at Rincon/University High. In an individual sport like swimming and individual’s example can easily go unnoticed; however such was not the case in Reed’s instance. Reed quietly yet consistently set the standard for dedication, personal sacrifice, and sportsmanship to which all of his teammates aspired. Not only did Nate display the determination and dedication to set goals in diving and achieve them, he was a great support and motivator to the other athletes with whom he came in contact. Along with succeeding in the diving arena, Nate is an exemplary student with grades to reflect such. He is motivated and an example to all those around him. Nate’s high school career is highlighted by numerous awards from him being recognized not only at a school level, but district wide as well as being named AIA Diver of the Year. As recently stated, Nate’s academic abilities are well-noted. He has maintained an excellent underweighted 4.0, challenged himself academically by matriculating through the International Baccalaureate Diploma, and has been an active participant in decision-making and government groups. Nathanael is President of the National Honors Society and is also a member of school leadership groups such as the Captain’s corner, President’s Club and International Baccalaureate Club. His extracurricular involvement includes faith based organizations as a junior leader in Young Life and the pure Heart Christian Fellowship Youth Group. He was also instrumental in creating Teen Outreach, a peer to peer group that helps teens resolve personal problems and handling conflict. Nathanael has consistently demonstrated the tenets of scholarship, character, integrity, tenacity, and perseverance. This young man is collegial and shares his expertise with others as well as being receptive to new ideas and experiences. For the past 16 years, Nancy Calahan has been a dedicated parent, volunteer, Assistant Athletic Director, and eventually Head Athletic Director at Tempe Preparatory Academy. She has given countless and thankless hours to making the school, and specifically the athletics program, excellent. Filling any gap in the program, Nancy has served as Track Coach for 6 years, Head Softball Coach for 5 years, Junior Varsity Volleyball Coach for 2 years, and Women's Varsity Basketball Coach for 11 years. She has supported 4 of her own children through the program, and she has been a second mother to countless others. Nancy is the epitome of courage, integrity, and dedication, and she is greatly loved and respected by every student, faculty member, parent, and coach with whom she interacts with. She wishes to thank her school for the nomination and the AIA for the great honor of receiving this award. There is not one person at North Canyon that encompasses all of the aspects of being a true Rattler more than Naman Shah. He is one of the most amazing students at the school. 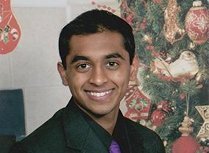 With boundless energy and a hard working positive attitude, Naman has found success in the classroom by carrying a 4.5 cumulative gpa. In addition to taking care of his studies, he finds time to be a member of Key Club, Student Government, Best Buddies, and the National Honor Society. But Naman’s endeavors do not stop there. He has been volunteering his time and effort with special olympics programs in Arizona, which led to his involvement with the district's new unified sports program. 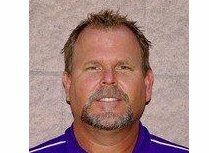 Over the past year, he took on the role of becoming a partner for North Canyon's athletes.. He went above and beyond our expecations. Not only was he there to help the athletes out in their particular event, but with his patience and leadership skills he was helpful in teaching them various life lessons. If you had the chance to view one of the events, you could easily see how much he cared about helping out our athletes. Jeffrey Anthony is a junior at Raymond S. Kellis High School and has been involved with Special Olympics since his freshman year. He has played in volleyball, soccer, football, track and field, softball, floor hockey, bowling, and bocce ball. Jeffrey participated in the 2010 Special Olympics National Games which takes place every 4 years, just like the Olympics. He represented Team Arizona on the unified soccer team. The team won a bronze medal and it was a life changing experience. Jeff is always a positive force on and off the field. He keeps the atmosphere light and fun with his great sense of humor. He is always joking and making his teammates laugh, no matter the situation. He will also be competing in the National Invitation for volleyball in Salt Lake City at the end of May. Jeffrey is always friendly, outgoing, and responsible. Jeffrey participates in STUCO at Kellis and really enjoys taking initiative and being involved in extracurricular activities. A graduate of Scottsdale Arcadia High School, where Rich played baseball and football, and a graduate of the Walter Cronkite School of Broadcasting at ASU, Rich joined KPNX-TV 12 as an intern working alongside Bruce Cooper. Nine years later, he left KPNX to pursue his goal of producing live sports with Cox Communications. As a producer of high school football telecasts, Rich worked side by side with George Allen, who taught him the importance of high school sports. George always stressed that it didn’t matter that it was “only” a high school event, it was important to do the best job possible as it might be the only time these student-athletes would be on television. Rich has produced over 200 high school football games for Cox Communications, in addition to developing the high school basketball game of the week, as well as the baseball and softball game of the week. In partnership with the AIA, Rich has produced AIA high school state championship wrestling, volleyball, spirit line, and soccer telecasts, in addition to football, basketball, softball and baseball. 15 years after producing his first broadcast at Westwood High School, high school sports remains his favorite area to work in. 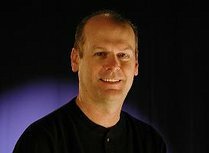 Jonathan began working with Cox Communications in 1986 (then Dimension Cable) and he has been involved in High School sports production at various levels from day one. His involvement with the AIA and high school events, from football to the 7 year run of Everyday Heroes has been some of the most rewarding experiences of my television career. He is honored to have partnered with the AIA to develop programs like the Kick-Off Classic, After the Bell, Thursday Night Football and the academy awards style program Everyday Heroes. 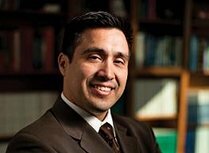 Dr. Cárdenas graduated from Arizona State University with highest honors and a Bachelor of Arts degree in Education. As a special education teacher, he instructed children with traumatic brain injury and developmental disabilities. For the past 16 years, he has volunteered for Special Olympics in Arizona. His background in special education and long history of volunteerism has guided his career, leading him to the field of child neurology. He graduated from the University of Arizona, College of Medicine with honors in Neurology. He completed a residency in pediatrics at St Joseph’s Hospital and Medical Center, where he was recognized for his outstanding care of infants and children. Dr. Cárdenas trained in the Department of Child Neurology at Barrow columns Neurological Institute where he received awards for academic presentations and leadership. Dr. Cárdenas participates in advocacy training focused on pediatric traumatic brain and spinal cord injury, including the Palatucci Advocacy Leadership Forum, sponsored by the American Academy of Neurology. Governor Janet Napolitano appointed Dr. Cárdenas to her “Advisory Council on Spinal and Head Injuries,” which provides services and support for individuals with spinal cord and traumatic brain injuries. Dr. Cárdenas is the director of the Barrow columns Resource for Acquired Injury to the Nervous System (B.R.A.I.N.S.) program which includes a multi-disciplinary brain injury clinic in collaboration with the Brain Injury Association of Arizona and Arizona State University. Dr. Cárdenas is the chair of the Sports Medical Advisory Committee of the Arizona Interscholastic Association and is an advisory council member of the Sports Concussion Coalition of Arizona. Dr. Cárdenas is committed to the care, treatment, and prevention of traumatic brain and spinal cord injury in children and adolescents. Dr. Cardenas was the driving force in the development of the Brainbook Online Concussion Course. Brainbook was developed in collaboration with the Arizona Interscholastic Association, the Arizona Cardinals, and Barrow columns Neurological Institute. This collaborative effort is designed to increase the awareness of concussion and reduce the incidence of injury in all of Arizona's high school athletes.